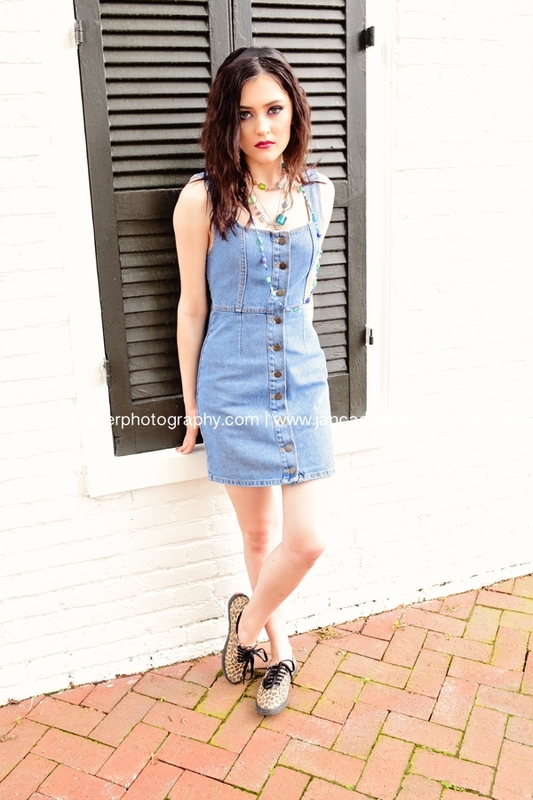 I recently photographed my JCP Street Team Spring Photo Shoot. 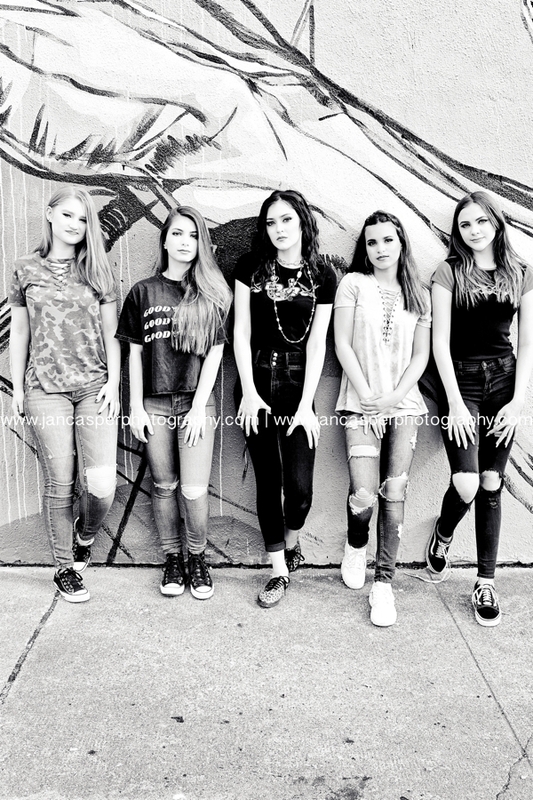 I decided to have the second group shoot in Downtown Norfolk. There were a few different locations I wanted to use for this shoot. The first location was in the Freemason neighborhood of Norfolk. This is a historic area with beautiful old houses and cobblestone streets. The second location was in the Neon Arts District of Norfolk. 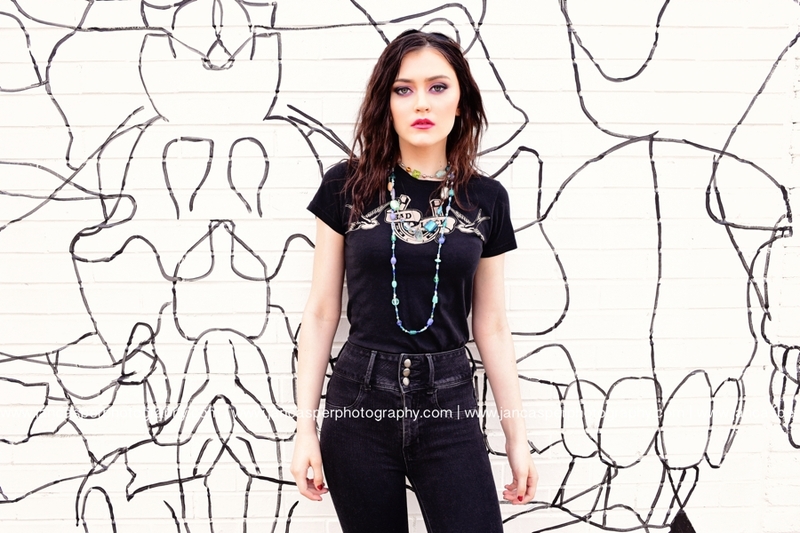 There were some new murals that were perfect for the look I wanted for the shoot. Skye is one of the members of the Class of 2019 JCP Street Team. 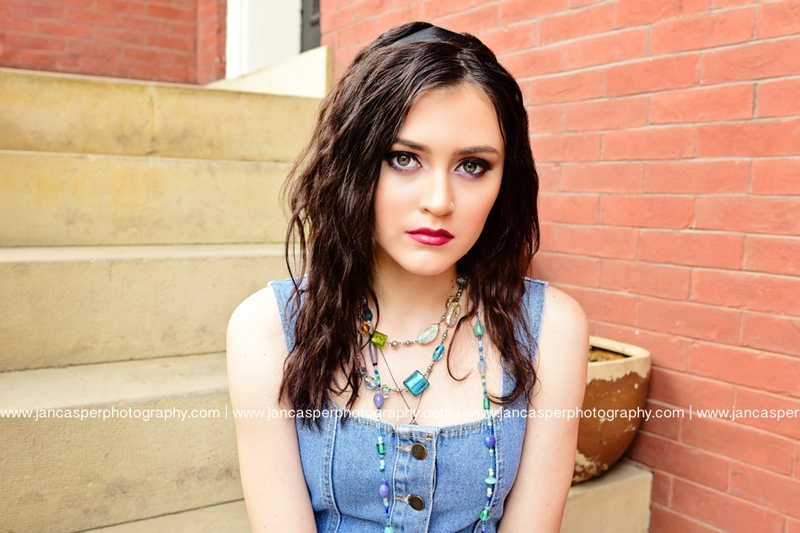 I had a great time photographing her for the downtown shoot. She's a natural in front of the camera. Skye had two different looks for the photo shoot. The first was a cute dress with sneakers which worked perfectly in the Freemason area. 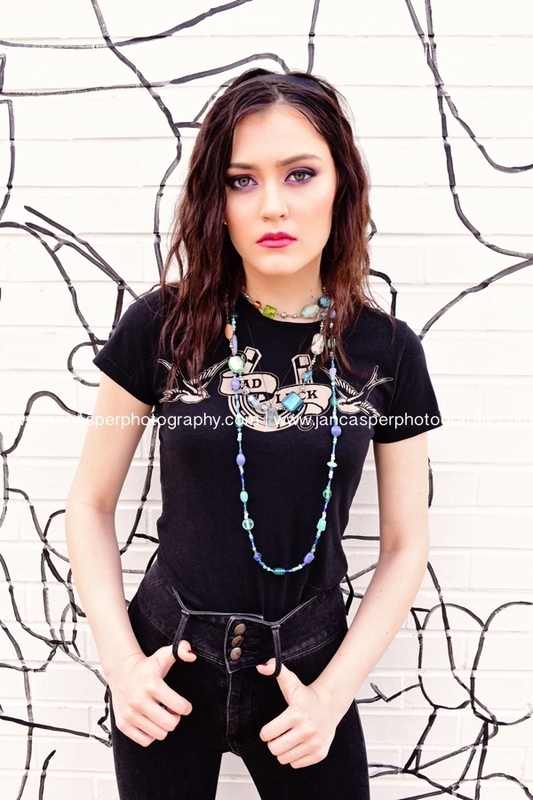 The second was jeans and a t-shirt, the murals in the neon district were a great backdrop for the urban styled look. 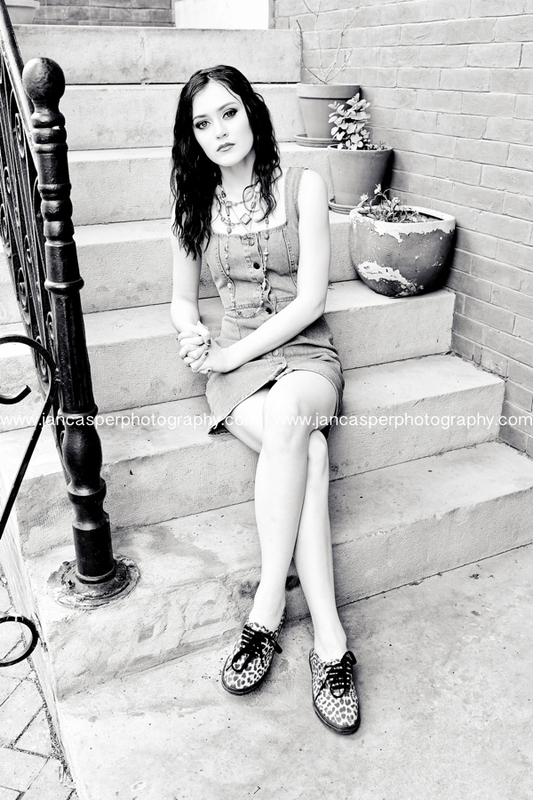 Both locations are favorites for senior sessions. 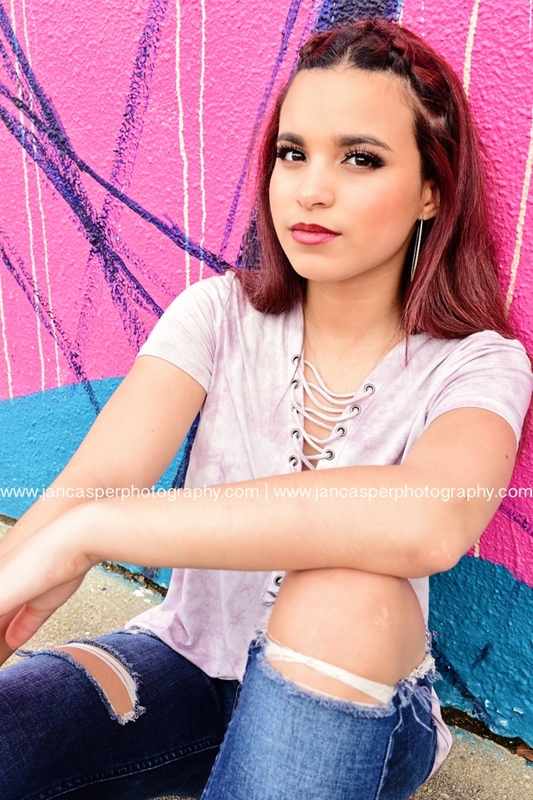 For more information on Senior Portraits visit The Senior Experience and to Book Your Session Call Jan Casper: 757-348-6027 or go to Contact! Gable was one of my models for my JCP Street Team Photo Shoot. 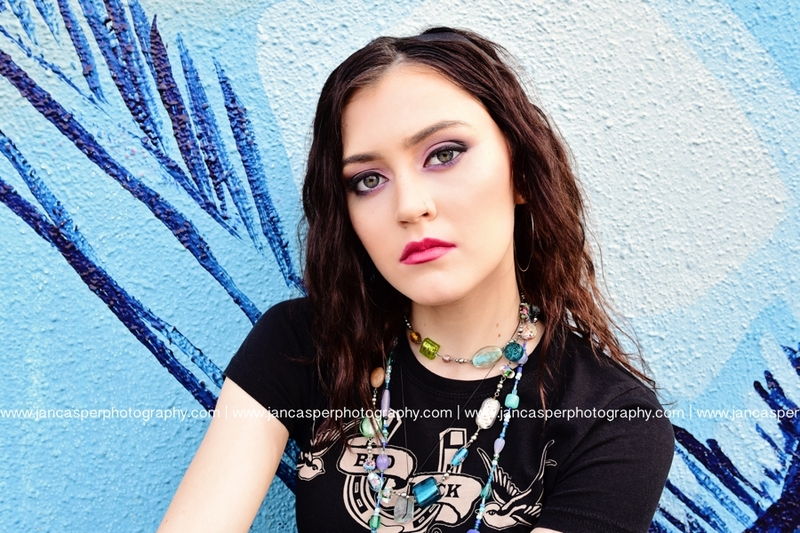 The photo shoot took place at a studio, which was quite different for me, I always do senior shoots outdoors. I wanted a bright colorful look to the photos, so I had two gorgeous backdrops from Katherine Hallberg Design and a fun table set up with Beautiful linens from Waterford Event Rentals. Gable wore two different outfits for the shoot. One was a cute party dress and the other was a fun fluffy tulle skirt with a fitted top. Gable is a great model, I've had the pleasure of working with her on a previous shoot. 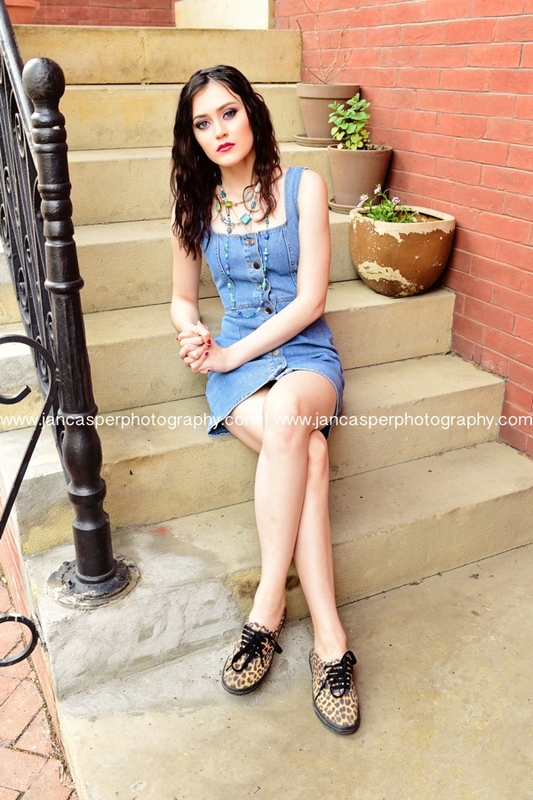 I can't wait to photograph her again for the next JCP Street Team shoot in May.